Is FFVII connected to FFX and X-2? The main content presented here was originally written and posted by Squall_of_SeeD on GameFaqs in his FFVII Plot Analysis guide (find link in our Reviews & Analysis section). 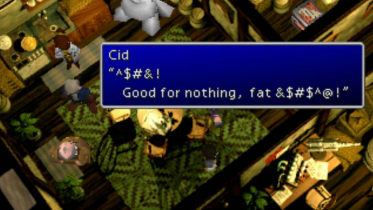 That content has now been revised by said author and now comes with a section written by Shademp, to elaborate on how little is actually revealed in this connection between FFVII and FFX. Perhaps you’ve heard at some point that the stories of Final Fantasy VII and Final Fantasy X are connected by an actual plot element within their respective narratives. Perhaps you’ve wondered whether this is true, and, if so, what it entails for their respective worlds and characters. We can confirm that it is true, but also that you have little reason to fear this development signaling Very Bad Things for the beloved cast of either game. For reasons that will become clear in the course of this article, while the connection is very real, it also has little to no actual impact on the lives that these characters will live out. 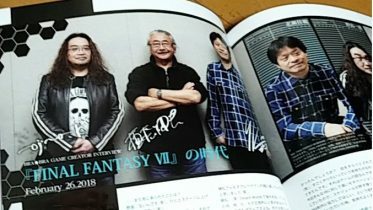 The best place to begin our analysis is on pages 723-724 of the Final Fantasy X-2 Ultimania guidebook, where scenario writer Kazushige Nojima (main writer of FFVII, FFVIII, FFX, FFX-2, Advent Children, On the Way to a Smile and Crisis Core) reveals during an interview that he wrote the game’s story with the intention that the character named “Shinra” (a member of the Gullwings, the sphere hunter group the game focuses on) was the ancestor of the founders and rulers of the Shin-Ra Company seen in Final Fantasy VII. According to Nojima, after Vegnagun and Shuyin’s defeat, Shinra received massive financial backing from Rin and attempted to use the remains of Vegnagun to extract the spirit energy on the Farplane in a usable form as a power source. Should be sounding familiar already if you’ve played FFVII. ―Would you say “being connected” is one of the key words in this story? 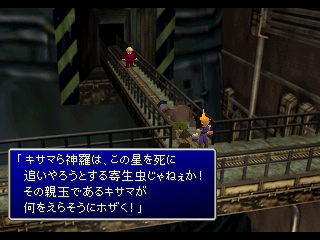 ―Is there a connection, for example, with Shinra’s name, which of course reminds one of FFVII? The “last mission” line and Rin’s “I am not alone in my thinking” line from “Detective Rin” have strong implications. ―So the story of FFVII is after that? The seeds of the concept Nojima was speaking to were already sewn in the game itself, and they don’t end there. In other words, as of three months after the main events of FFX-2 had come to an end, the concept Nojima spoke of was already in play. What’s further notable about this is that FFX-2 International+Last Mission was released 11 months after the original FFX-2, and well after the FFX-2 Ultimania interview with Nojima had been published. In other words, Nojima spoke of this concept in the Ultimania interview and then actually put it into effect with Final Fantasy X-2 International+Last Mission. Also notable is that this idea isn’t the secret of a single individual during development, but that it actually has the support of key staff involved in the making of FFX-2 and in the making of various other Final Fantasy titles, including Compilation of FFVII titles. 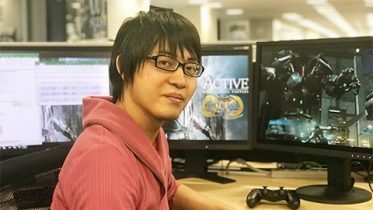 As seen above, during the interview, co-scenario writer Daisuke Watanabe reveals that, in response to Nojima’s idea, another member of FFX-2’s development staff arranged the first shot of the Bevelle Underground to be the same as the first shot of Midgar in Final Fantasy VII. He also speaks favorably of “connections” as a concept during the interview. For his part, director Motomu Toriyama offered no objection to the idea, chiming in to confirm the similarities in camera work between the opening of FFVII and that first shot of the Bevelle Underground. Someone else at the table during the interview was Yoshinori Kitase, currently the lead producer of the Final Fantasy series, the director and co-scenario writer of Final Fantasy VII, and the developer credited as being the mastermind behind the Compilation of Final Fantasy VII. FFVII and FFX are connected?! ―Last time, for the FFX Scenario Ultimania, we asked about the story and various other things, but with almost half a year going by since then, have any new thoughts regarding FFX come to life? ―It’s a sequel to VII?!! ―So, how did talk of it as a sequel to VII come up? ―Ehh, so VII and X are connected? ―When you speak of dying and becoming green colors, could that possibly be …? ―Reincarnation … Who is your rebirth idea about? “While this airship is named after Cid’s wife, construction of the vessel wasn’t performed by the captain at all. Our team of loyal scientists here at the World Regenesis Organization or those criminals at Shinra weren’t involved, either. To tell you the truth, the ship is not even from this era. It is a relic from a lost civilization. Most of the machinery in the engine room is boxed up in black casing, so we don’t even know what half of it does. There’s no need to worry. Even though we cannot reproduce the technology, we can still put it to good use. I can almost guarantee there will be no problems. Wherever one stands on the topic of whether the points of view offered by authors in interviews or guidebooks require evidence within the final product, certainly interviews such as that we examined at the beginning of this article can offer insight. Likewise for other material found in Ultimania guides. For that matter, in this particular case, there’s plenty of physical evidence in the games built around Nojima’s idea, including Rin and Shinra’s stated goals in FFX-2, their realized partnership in FFX-2 International+Last Mission, and the airship featured in Advent Children and Dirge of Cerberus. At this point, we’ve even seen titles in the Compilation of FFVII feature a few characters’ bodies disappear in a spray of spirit energy similar to that of pyreflies, as when fiends or unsent are defeated in FFX, and when Seymour killed Maester Kinoc and then absorbed him. In Dirge of Cerberus, for example, Grimoire Valentine’s body disperses in a cloud of energy similar to pyreflies. 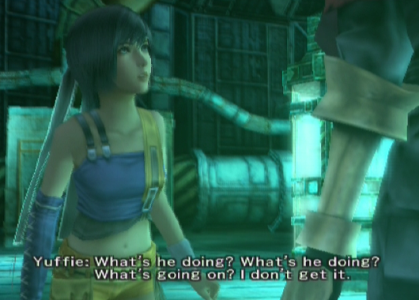 In Crisis Core, Hollander and Lazard’s bodies do the same. Whether the concept will ever be built upon further is beyond our means to reasonably speculate. What we can be sure of, however, is that the concept exists and it has its artifacts within the settings of both Final Fantasy VII and Final Fantasy X — as well as that the characters and stories we love from both are safely tucked away outside falling victim to Sin or Jenova. Kazushiga Nojima has presented us with a story of migration between planets that is surprisingly lacking in details. When the questions are asked we see just how many gaps there are in this connection that sets Final Fantasy X as a form of prequel to Final Fantasy VII, albeit with the two not sharing events on the same planet. Before moving on let’s make clear some terminology that will now be used. Because the world of FFX is referred to as Spira, it makes sense to call the travellers from FFX by the term ‘Spirans’. While there is some ambiguity to if the world of Spira encompasses the whole celestial body on which the story takes place, few will argue against referring to the migrators from FFX as Spirans. The planet of FFVII will be referred to as ‘the planet’, ‘the FFVII planet’ or ‘the world of FFVII’, due to the home of Cloud and friends having no official name. While the names “Gaia” and “Gaians” would be simpler, the use of these would perpetuate the false notion of the planet’s name being Gaia. Start asking questions and the narrative tapestry proves incomplete. Why did the Spirans migrate into space in the first place? Was it a journey made out of a desire to explore or to escape impending doom from some threat we have not been told about? Did some Spirans stay behind or did everybody leave? Does Spira still exist during the events of FFVII, continuing on with its own civilization? What happened to the technology that brought the Spirans to the FFVII world? Was the technology destroyed when Jenova attacked humanity or was there a gradual decline in both the knowledge and resources to drive the machines? 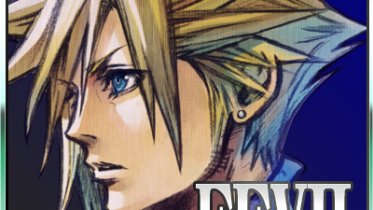 A few readers may now have noticed a basic assumption based on Nojima’s statements about the connection between FFX and FFVII. Nojima says “the Shin-Ra Company is built on another planet in the future once travel to distant planets is possible” but nowhere does he specify the form of travel. Because he says that the travel to other planets happen about 1000 years after FFX-2, one imagines the world of Spira advancing their technology enough to build space ships. That is not the logically necessary interpretation however. Spirans might have developed a form of portal technology to travel from one planet to the other, without even having to fly above the atmosphere of their own planet. The technology used may even be based on magic. Because Nojima does not tell us the form of travel, we can’t know if Spiran space ships ever landed (or crashed) on the surface of the FFVII planet. Even if we assume that space ships were used, we don’t know if the space between planets was painstakingly traversed over tens of thousands of years or if the ship(s) used some form of portal/wormhole technology. Ladies and gentlemen, we have only begun exploring the narrative gaps and the ways in which fans will often fill in gaps without realizing it. Origins of Humanity: Extra-Terrestrial or Mixed? Are Spirans the first human ancestors of the FFVII planet? No developer interview or plot guide (that we know of) has specified if Spirans were the original humans of the FFVII world or if humans were already around when the migrators arrived. In the latter scenario the population of FFVII becomes, at the very least in part, a cross-breed between the Spirans and the humans native to the planet. Either way, President Shinra is clearly a descendant of Shinra from FFX-2, as stated in the official material. Because of how Final Fantasy VII described the Cetrans as earthbound wanderers who could speak to the planet and even heal it, many will find it as the more intuitive interpretation that Cetrans were the original humans, birthed by the planet with which they have such a strong connection. “Knowlespole refers to this area. “No, it’s not that kind of power. The Cetrans and the planet shared a mutual connection, as proven by not only the Cetrans working to heal the planet but also by the planet itself persuading the Cetrans to leave the injured area. Our only source of time estimations leaves a muddled impression. Travel to distant planets become possible about 1000 years after the events of FFX-2, but as stated earlier we have no idea if this form of travel employed space ships and/or portal technology. There is no way to know how long the trip to the FFVII world lasted. 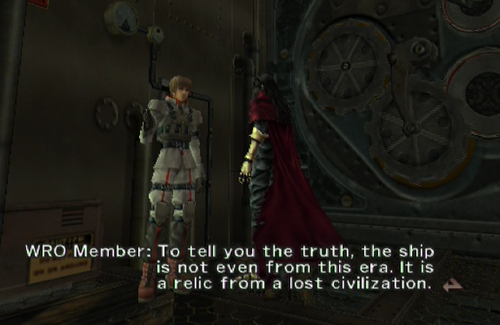 If one picks apart Nojima’s statement, it can come off as though he is saying that the Shin-Ra Company was founded merely 1000 years after FFX-2, immediately when the Spirans arrived on the FFVII world. 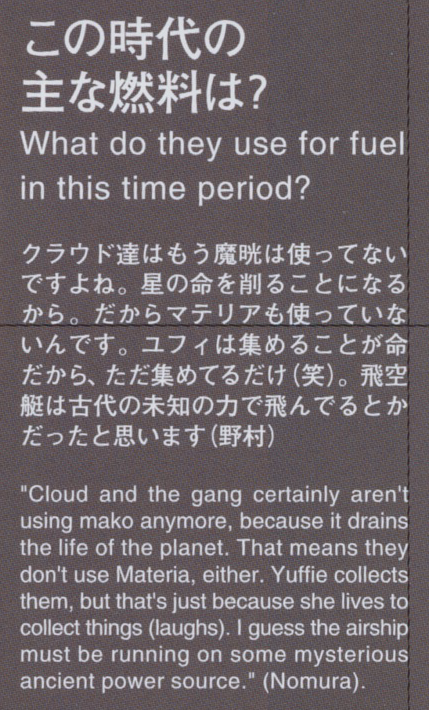 What Nojima probably meant to say is that the company as an extractor of mako energy (which it became sometime shortly after [ μ ] – εуλ 1959 in the FFVII timeline) was founded many generations after the Spirans arrived. We would feel less uneasy here if Nojima’s explanation was summarized in a more clean-cut manner. Without additional data to help us, the Spirans could have landed at any point in modern times (even after Jenova’s calamities) to countless millennia before the arrival of Jenova. In the scenario that the Spirans arrived perhaps tens of thousands of years before Jenova, it is easier to consider the possibility that Cetrans are descended from Spirans. Understandably so, many fans find it hard to believe that the Spirans could have arrived before Jenova. If the damage caused by Jenova did not erase records of Spirans’ place in history, what did? Should not Cloud, Aerith, President Shinra and even Mukki know that their genetic origins are completely or partially from a planetary body long ago and far away? If we remember the quote from Dirge of Cerberus, where the “lost civilization” referred to is most likely not a Cetran one, it is at least implied that the relics from (what we presume to be) the Spirans are ancient. To say that something is ancient leaves open interpretations still. Is it possible to call a relic ancient if it is, say, only one thousand years old? Some would say yes, some would say no. 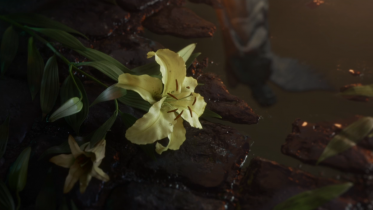 Whether you pin down the advent of the Spirans to before or after the calamity of Jenova relies heavily on where you are able to suspend your disbelief in what the FFVII timeline can allow and make room for. On one hand we are left with the frustration of so many relevant details being left out. On the other hand, this has given fans a lot of room to speculate and come up with their own theories as to the nature of the connection between FFX and FFVII. 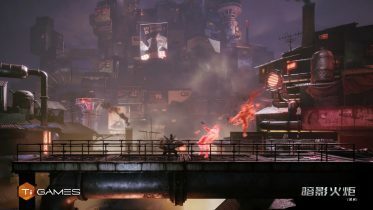 Here is a quick list of some of the most popular theories that I have seen proposed on TheLifestream.Net and other FFVII forums. Typically this has Jenova’s origins set in Spira, with Spirans travelling into space and with her being the trigger for why Spirans went into space in the first place. In this paradigm, Spirans are indirectly responsible for bringing all of Jenova’s calamities to the FFVII planet. Kadaj: It doesn’t matter who she picks! You’ll all meet the same end! Mother came to this planet after a long journey. To rid the cosmos of fools like you! But you know as well as I do – nothing’s changed since she got here. I have to change it, to make her happy. If Mother willed it, I’d do anything for her! Rufus: Hm. The nightmare returns. Kadaj: As long as you exist, the nightmares will come again and again. That Jenova arrived after a long journey with the intent to “rid the cosmos of fools” can imply previous experience with humans and that she somehow knew there would be humans, or “fools”, to destroy on the planet she landed on. In a scene added for Advent Children Complete, Kadaj muses about how he does not understand humanity’s cycle of destruction and creation. Kadaj: Why does humankind even bother? You wreck everything you’ve ever made then you start over like it’ll be any different the next time. Rufus: I suppose we’re no good at facing our memories. We’d rather gild the past… Find something worthwhile among the rubble and build a future with that. Kadaj: And that’s why you salvaged Mother? To “gild the past”? Rufus: We were trying to rid ourselves of a more immediate problem. If these musings reflect that Jenova’s natural instinct is to end a cycle of repeated destruction by laying waste to all and denying rebirth, then she shares a trait with both the main villains of FFX and FFX-2. Is this a coincidence? Even those who propose this theory will often agree however that Jenova’s origins are best left as a mystery or otherwise the psychological threat of Jenova as an “alien” will be compromised. Listing this because it appears to be the most frequent theory, even to the point of being a natural assumption. The consequences of this cross-breeding, both in genetics and culture, can differ in detail. Some like to think that Spirans, with their (presumably) technological lifestyle, were responsible for making Cetrans leave their harsh lifestyle of cultivating and wandering the planet. See the history described by Sephiroth in the original game. 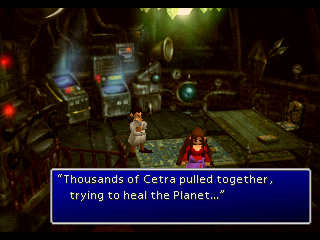 “This Planet originally belonged to the Cetra. 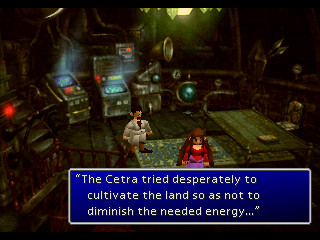 Cetra was an itinerant race. “But, those who disliked journeying appeared. Sephiroth does not know it here, but the disaster that struck the planet was the arrival of Jenova. Because of the strong impression that Cetrans had already begun leaving their nomadic life before the great calamity from the sky, fans will often subscribe to the idea that Spirans arrived in this timeframe as well, contributing to or causing the Cetrans to lead an easier life. The theory can be extended to genetics. Although FFX also had a form of “lifestream”, it is possible that Spirans could not communicate with the FFVII planet, or even use magic, because of being too genetically/spiritually alien to the new celestial body they found themselves upon. If so, then a mix between Spiran and Cetran blood could have weakened the Cetran traits over time, genetically making magic and planet-reading a rarity. In the next video, Ifalna mentions that “A small number of the surviving Cetra defeated Jenova and confined it.” Coupled with the reports Sephiroth found in the Shinra Mansion, it is clear that Jenova’s actions led to the near-extinction of the Cetrans. It’s not a far leap to imagine that Jenova and the monsters caused by her virus also destroyed Spiran technology and/or the means to propel them. While Sephiroth speaks of the ex-nomadic Cetrans (let us call them “ex-Cetrans”) surviving the disaster because they hid, this statement doesn’t by necessity mean that the Spirans and ex-Cetrans were unaffected by the ravages of Jenova. Just like the decline of the Cetran population was gradual, albeit with much to originally blame on Jenova, it is also possible that Spiran technology was a luxury that could only last for a limited time. While the Shera is described in Dirge of Cerberus as using a “mysterious ancient power” there must have been a reason why this ancient power was lost until Cid somehow unearthed it. This could be because of Spiran engineering knowledge being lost over time and/or because some precious resource required to activate the machinery becoming unavailable. It is worth remembering that the ancient components driving the Shera could be from any given era after the arrival of the Spirans. Was this technology from when the Spirans first arrived? Is it a mix between Spiran and ex-Cetran engineering after the cataclysm of Jenova? The Shera may well represent a stage when the Spiran technology had already declined in comparison to the stage when the people from the FFX world first arrived. Some will argue that both fan theories about technological decline, put together, presents the best answer. Some may prefer one theory over the other. In Final Fantasy X, the Al Bhed are labelled as their own race, separate from other Spirans. They have a knack for technology, even that which they did not create themselves, and will typically not dwell on spiritual matters. With the assumption that these are indeed all genetic traits, Cid Highwind (and other mechanics of the FFVII world) could fit the bill of having a strong Al Bhed origin. 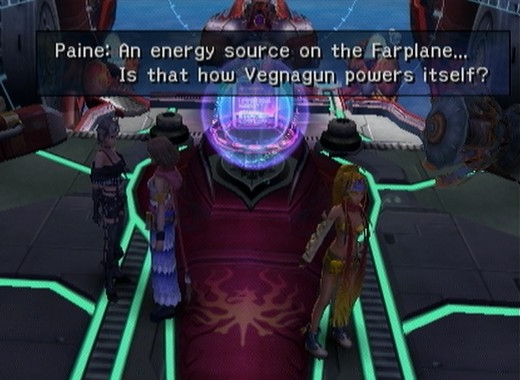 The fact that Cid’s airship the Shera is propelled by what is presumably Spiran technology will often solidify this notion in the minds of fans, as the Al Bhed of Final Fantasy X also find ancient airships which they are still able to activate and control. Squall_of_SeeD has observed that there are startling similarities both inside and out between the Shera and the airships seen in FFX and FFX-2. In the future this speculation may be further investigated with the addition of in-game snapshots and a thorough analysis. Outside of the canonical connection between FFVII and FFX there are some neat easter eggs connecting the two. Hidden in the game data of Final Fantasy X is the Buster Sword, which Tidus can equip. Interestingly enough he often hits enemies with the blunt edge, just like Zack claims in the Crisis Core script to do (but never actually does so in cutscenes). A number of videos exist showing off this dummy weapon in Final Fantasy X. Credit to YouTuber The Owen for the recording embedded below. Meanwhile, the fiend in FFX-2 is, indeed, known by the same name as its English language counterpart in the Japanese game as well, though it is here spelled with katakana as キングヴァーミン (“Kingu Vaamin”). 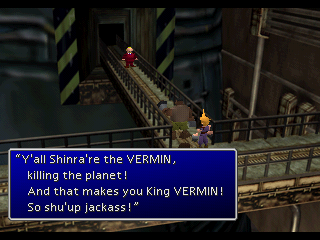 Despite the minutiae of these details not quite aligning perfectly, as well as the possible unintended coincidence behind the naming of the boss in Japanese, given the matching capitalization and punctuation in “King VERMIN!,” it makes you wonder if the translator knowingly made a nod to Nojima’s idea that connects FFX with FFVII. – Squall_of_SeeD: Original article author. Transcribed and translated interviews. – Shademp: Formatting & content re-structuring. Provided FFVII and Dirge of Cerberus snapshots. – ultima espio: For the suggestion that portals may have been used to travel from one planet to the other; not space ships.